My first T’ai-Chi teacher, Cheng Man-ch’ing (1902–1975), frequently told us to relax. In fact, relax was his one-word answer to many of our questions. The word relax was no doubt the English translation of the Chinese word sung (also spelled song). 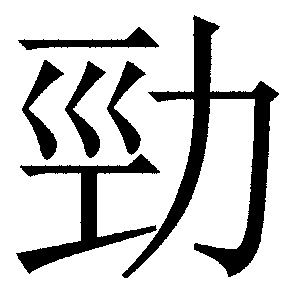 The character for sung involves a pine tree, with its strong central trunk and downward-hanging branches (Fig. 1). The trunk can be thought of as yang (reaching upward) and the hanging branches as yin. In the context of T’ai-Chi movement, however, the trunk can also be thought of as yin—it is supportive, rooted in the earth, and has no power for producing the expansive movement exhibited and emphasized by my later teachers, Harvey Sober and Sam Chin Fan-siong, and required by an internal martial art. So a yang counterpart to sung is required, and that counterpart will be discussed next. It should be mentioned, however, that Prof. Cheng did talk and write1, 2, 3 about “swimming on land,” which involves imagining the air to have the consistency of water. Swimming on land has the required yang counterpart because it involves imagining using strength, which is the precursor to demonstrable strength. Fig. 1. The character for sung. In addition to the pine tree, the old version (left) includes hair, which in a T’ai-Chi context can be interpreted as letting the musculature relax to the point of having the nonexistent strength of hair. The newer version (right) just shows a pine tree. Dr. George K. W. Ho recently wrote an article in Tai Chi Magazine4 that was extremely helpful in clarifying that Prof. Cheng’s teacher, Yang Cheng-fu (1883–1936), used the words sung kai. The additional word, kai (Fig. 2), involves the concept of openness, activation, and expansion—beautifully expressing the yang counterpart needed for balancing yin and yang! Fig. 2. The character for kai. The old version (left), includes a gate. The newer version (right) has no gate. First, a proposed physiological basis for sung kai will be summarized. Then, exercises for experiencing sung kai will be given. In 1974, I started my study of Kinetic Awareness® under Elaine Summers (1925–2014). A concept underlying much that Summers taught was that muscles can actively extend. I presented that concept in my book, Tai Chi Dynamics,5 and applied it to a number of often-elusive T’ai-Chi elements including natural and reverse breathing and the important distinction between li and jin (awkward strength and educated strength, respectively) (see characters in Fig. 3). I claimed that li was strength arising from muscular contraction, and jin was strength arising from muscular extension. I stated that I experienced muscular extension as hydraulic pressure wherein a change in pressure at any part of the body is transmitted to all other parts of the body. Some readers of my book were highly skeptical of the idea that muscles might actively extend. I was able to counter their objections, but at that time, only experiential evidence was available, and a satisfactory physiological mechanism was lacking. Now, a viable physiological mechanism exists that satisfyingly complements the experiential evidence. Dr. Gerald Pollack has been directing research at Washington State University for decades and has discovered an important feature based on the restructuring of water under certain conditions (see video on some unusual aspects of water). Our cells are primarily water, and the stimulation produced by neural electricity coming from the brain and spinal column can restructure water in a manner that can account for the contraction and expansion of muscle cells. For some time, I have added to my practice an awareness of Dr. Pollack’s mechanism, which is quite satisfying because I feel that I can experience sending the neural electricity to my muscle cells, and it feels as though the water in those cells is expanding as a consequence. Actually, I have been experiencing those effects for decades without the benefit of such a closely fitting physiological mechanism. I want next to share a practical exercise that can enable you to experience sung kai whether you accept the above mechanism or not. Sung. Stand with both feet parallel and slightly less than a shoulder-width apart, with your weight equally distributed between your two feet. Let everything relax as much as possible. Relax your eyes, jaw, neck, shoulders, arms, chest, abdomen, lower abdomen, and legs. Now recreate as much as possible the heavy feeling you experience when you get out of a hot bath. That state is sung. Note that sung, which is relaxed, earthy, and supportive (yin) facilitates kai, which is activated, open, expansive, and potentially strong (yang). Kai. Next, maintaining the state of sung just achieved, slowly and gently rotate your arms so that your elbows move slightly forward. Simultaneously rotate your palms to face the rear. Now imagine that water is coming from behind and is pushing your hands forward. Without tensing (contracting muscles), imagine that you are pushing back on the water. You should soon feel a swelling in your hands and forearms plus the tingling sensation of ch’i (also spelled qi) (Fig. 4). Note: When you imagine using strength, your brain and spinal cord send nerve impulses to the parts that would exert force but below the threshold of muscular action. As a consequence, you are relaxed but, nevertheless, have a perception of exerting strength. Moreover, because you are relaxed while imagining using strength, the version of neural electricity sent will correspond more to activating muscular extension than to muscular contraction. Fig. 4. The author standing in the “Beginning” T’ai-Chi posture, imagining water pushing his hands and arms from behind. Next, capture that expanded feeling and try to intensify it and spread it everywhere in your body but, as a caution, not in your head. When you are in that expanded state, someone who tries to move your arm should not feel resistance resulting from contractive strength but, instead, feel that your arm is connected to every part of your body (“steel wrapped in cotton”). At the same time, it will feel to you as though you are using strength because of the neurological activation. Interestingly, Prof. Cheng also stated about “swimming on land,” “As you make greater progress, the air will not only feel heavier than water; it will feel like iron.”7 In my view, what you are feeling is the result of neural electricity expanding the water in your cells. In the state of sung kai thus achieved, a change in any part of the body will affect every other part of the body. The concepts listed below express that idea. Interestingly, the first one is from physics, and the others are from the T’ai-Chi-Ch’uan Classics. Any change in the pressure at any point in a confined liquid will result in the same change at all points in the liquid. Remember, when moving, there is no place that doesn’t move. All parts of the body are strung together without the slightest break. The whole body is a hand, and a hand is not a hand. Because of the heightened alertness achieved in a state of sung kai, you will be able to instantaneously move in any direction and express actual strength in all directions. Now try doing the “Preparation” movement. Start with heels together in Wu Chi (the primordial state that gives rise to yin and yang). As you sink into your right foot and turn slightly to the right, simultaneously rotate your arms so that the elbows move slightly forward. At the same time, gently rotate your hands so that the palms face the rear, and “hydraulically” expand every part of your body. Now, as you continue with movement (stepping, shifting and turning), you will have evolved into a state of balanced yin and yang. If you are able to experience any degree of expansion no matter how small, that’s a start. With practice, you can achieve a state wherein your whole body is soft and supple but feels like steel. Anyone can do it—it’s just learning to use your nervous system in a different way! It is important to realize that imagining the resistance of water is merely a tool for recognition. Once the desired state is recognized, lock it in and recreate it. After that, the tool is no longer needed and should be phased out lest it limit your progress. The concept of alternating condensing and expanding while doing T’ai-Chi movement was frequently emphasized by one of my teachers, Sam Chin Fan-siong. Once you have become proficient in expanding, you can start to work on condensing. Condensing involves decreasing—but not losing—the state of expansion. Condensing is different from contracting, which involves pulling inward by using tension. The inward and downward (yin) parts of each movement are facilitated by condensing, and the upward and outward (yang) parts of each movement are facilitated by expansion. Thus, condensing and expanding alternate when doing T’ai-Chi movement. For example, consider the expanding and condensing that might occur in moving from the “Beginning” posture to “Ward off Left.” At the final part of “Beginning,” your elbows are rotated slightly forward, your palms face the rear, and your hands are outside and forward of your thighs (Fig. 5a). As you shift your weight 100% to the left foot and turn to the right, your right arm simultaneously begins rising and becomes expanded, and your left arm moves with the body (Fig. 5b). As you shift your weight to your right foot, holding a “ball” with your right hand on top, the expansion of your right arm decreases and that of your left arm increases as it continues its movement (Fig. 5c). As you sink into the right foot to step with the left foot, the expansion of the insides of the thighs should also accompany and facilitate the opening of the hip joints as you begin stepping (Fig. 5d). At the same time, your left arm is already rising by means of expansion and steadily continues its upward, outward, circular motion as you step, turn slightly, and start to shift (Fig. 5e). After you shift 70% onto the left leg, you continue turning to finish the movement (Fig. 5f). By now, your left arm is expanded upward and outward, and your right arm has lowered to the same position as it was after the “Beginning” posture. In Chapter 2 of Tai Chi Dynamics,11 I detailed the physiological differences and relative benefits of the two main types of breathing, namely, natural and reverse breathing. Both of these types of breathing rely on an expansion and release of the diaphragm, which is a dome-shaped muscular membrane beneath the lungs. Basically, in natural breathing, inhalation involves the lateral expansion of the diaphragm, which lowers the “dome.” Exhalation involves the release of the diaphragm, which allows the dome to rise. By comparison, in reverse breathing, the inhalation involves a lateral expansion (as in natural breathing), but the exhalation involves an upward expansion while maintaining and slightly increasing the lateral expansion. Because the in-breath entails a lessening of diaphragmatic expansion, and the out-breath entails an increase in diaphragmatic expansion, reverse breathing helps to stimulate and consequently intensify the feeling of condensation and expansion throughout the body. It is important to realize that adhering to any particular breathing modality is only a tool for recognition. Once that recognition is reached, specialized breathing is no longer needed. Think of the benefits of sung kai: (a) Letting go of muscular contraction promotes free flow of blood, lymph, and ch’i; (b) the neural electricity to the relaxed cells plus condensing and expanding the cells helps them expel metabolic waste and other impurities and to absorb oxygen and nutrients; (c) the nervous system is activated and finely trained by the rich neurological dialogue involved. Think over carefully what the final purpose is: to lengthen life and maintain youth. 1. Because contractive strength is used by almost everyone in almost every situation, it is quite familiar and can easily be “read” by another person to know your intention. By contrast, expansive strength is unconventional, hidden, hard to interpret, and therefore, deceptive. When you exert contractive force on an opponent, say to deflect his incoming arm, he immediately reads the tension involved, recognizes your intention, is alerted, and acts to increase his force to prevent you from deflecting him. This initiates a succession of escalations of force by each person in turn. So a fight ensues, and the stronger person wins. But what if you are not as strong as your opponent or are old, injured, or sick? Then you will lose. Instead, if you use expansive force, the opponent feels as though he contacted your body, which then turns. He is not alerted but instead perceives that his action caused your body to turn. He does not feel any reason to escalate his force and does not do so. As a consequence, he overextends, loses his balance, and is then easily controlled. For such an action, you don’t need much expansive strength—only a few ounces. 2. Whether you exert contractive or expansive force on another person, the reaction to your force on him is an equal-and-opposite force, exerted backward on your body. This backward force is balanced by a forward force on your feet by the frictional force of the floor. Moreover, your legs must act in such a way to push your feet into the floor and push your pelvis forward. Now consider what happens when you use contraction to exert a force on another person. If he then adjusts in such a way to lessen the force exerted on him, in order for you to maintain balance, you must immediately change the conditions of contractive tension of your legs, which are pushing the floor backward and your pelvis forward. Unless you lessen the contractive tension of your legs in exact accordance with his change (extremely difficult to do quickly), your legs push your body forward, causing you to momentarily lose your balance. Thus, each time you use contraction to exert a force on someone, you are dependent for your balance on what he does and on the time it takes you to recognize and process that change and adjust complex forces accordingly. An experienced practitioner can take advantage of even your slightest momentary imbalance—especially when he is initiating it. By contrast, when you exert expansive force on another person, the forces within your body result from the hydraulic pressure of water within your body. Pascal’s principle states that any change in the pressure at any point of a liquid causes exactly the same change at every other point in the liquid. Thus, if the person on whom you are exerting expansive force moves in such a way to lessen the force exerted on him, that automatically results in an immediate reduction in hydraulic pressure throughout your body—all the way down your legs, to your feet. As a consequence, your arm may momentarily move forward but not your body. You don’t lose your balance, and no processing or sending of neural information to the legs is required. 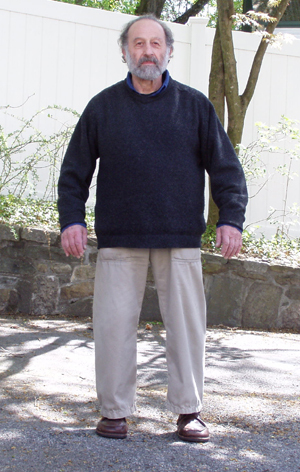 Experiment: Stand in a rooted “Ward Off” posture. Have a partner push your outstretched forearm with moderate force and suddenly and unexpectedly let up. If you are using contractive force, your whole body will move forward, and you will momentarily lose your root. If instead, you are using expansive force, your forearm will move outward, but your body will remain settled and rooted. When the body is emptied of force—that is, when all the muscles are relaxed—a “tenacious strength” will develop from the foot. This tenacious strength is different from force in that it has a root, whereas force does not. In action, tenacity can be likened to a strong vine which is pliable, and force to a stick which is rigid. Tenacity is alive, force is inert. Tenacity is the resilience or tonicity of living muscles, however relaxed they may be. The muscles being relaxed, tenacity cannot involve the bones. Force, however, is derived from the tension of the muscles, binding the bones together in a wooden, rigid system. When the body is emptied of contractive strength—that is, when all the muscles are relaxed—an “expansive strength” will develop from the foot. This expansive strength is different from contractive strength in that it has a root, whereas contractive strength does not. In action, expansive strength can be likened to a strong vine which is pliable, and contractive strength to a stick which is rigid. Expansive strength is alive, contractive strength is inert. Expansive strength is the resilience or tonicity of living muscles, however relaxed they may be. The muscles being relaxed, expansive strength cannot involve the bones. Contractive strength, however, is derived from the tension of the muscles, binding the bones together in a wooden, rigid system. The following paragraph is the sixth of Yang Cheng-fu’s ten important points for T’ai-chi Ch’üan.14 Yang Cheng-fu was Prof. Cheng’s teacher and considered to be one of the top ten martial artists of the 20th century. Use the Mind and Not Strength. This is stated in the “Treatise on T’ai-chi ch’üan” and means that we must rely exclusively on mind and not strength. In practicing T’ai-chi ch’üan the whole body is relaxed. If we can eliminate even the slightest clumsiness which creates blocks in the sinews, bones and blood vessels and restricts our freedom, then our movements will be light, nimble, circular, and spontaneous. Some wonder how we can be strong without using strength. The meridians of the body are like the waterways of the earth. When the waterways are open then the water flows freely; when the meridians are open then the ch’i passes through. If stiffness blocks the meridians, then the ch’i and blood will be restricted and our movements will not be nimble, then even if one hair is pulled, the whole body will be shaken. If, on the other hand, we do not use strength but use mind, then wherever the mind goes, the ch’i will follow. In this way, if the ch’i flows unobstructed, daily penetrating all the passages in the entire body without interruption, then after long practice we will have achieved true internal power. This, then, is what the “Treatise on T’ai-chi ch’üan” means by “only from the highest softness comes hardness.” The arms of those who have mastered T’ai-chi ch’üan are like iron concealed in cotton and are extremely heavy. When those who practice external systems are using strength it is apparent, but when they have strength but are not applying it, they are light and floating. It is obvious that their strength is an external, superficial kind of energy. The strength of practitioners of external systems is very easily manipulated and not worthy of praise. Use the Expansive strength and Not Contractive strength. This is stated in the “Treatise on T’ai-chi ch’üan” and means that we must rely exclusively on expansive strength and not contractive strength. In practicing T’ai-chi ch’üan the whole body is relaxed. If we can eliminate even the slightest clumsiness which creates blocks in the sinews, bones and blood vessels and restricts our freedom, then our movements will be light, nimble, circular, and spontaneous. Some wonder how we can be strong without using contractive strength. The meridians of the body are like the waterways of the earth. When the waterways are open then the water flows freely; when the meridians are open then the ch’i passes through. If stiffness blocks the meridians, then the ch’i and blood will be restricted and our movements will not be nimble, then even if one hair is pulled, the whole body will be shaken. If, on the other hand, we do not use contractive strength but use expansive strength, then wherever the expansive strength goes, the ch’i will follow. In this way, if the ch’i flows unobstructed, daily penetrating all the passages in the entire body without interruption, then after long practice we will have achieved true internal power. This, then, is what the “Treatise on T’ai-chi ch’üan” means by “only from the highest softness comes hardness.” The arms of those who have mastered T’ai-chi ch’üan are like iron concealed in cotton and are extremely heavy. When those who practice external systems are using contractive strength it is apparent, but when they have contractive strength but are not applying it, they are light and floating. It is obvious that their contractive strength is an external, superficial kind of energy. The contractive strength of practitioners of external systems is very easily manipulated and not worthy of praise. T’ai-Chi teachers almost universally tell students to relax (sung). 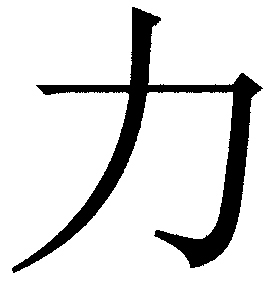 The main reason for attaining sung is to learn to recognize and weed out the use of contractive strength (li) so when students are ready, they will be able to learn to generate and then use expansive strength (jin). This way of teaching is in accordance with the Taoist (Daoist) view, expressed by the saying, “An empty cup holds the most.” Unfortunately, the distinction between li and jin is very difficult for teachers to explain and for students to recognize. Thus, many practitioners erroneously believe that any development of strength and its use in T’ai-Chi is a sin. Of course, a practitioner who lacks the ability to manifest jin must use li but keep it to an absolute minimum, which results in limp, substanceless, floating, lifeless movement. As expansive strength is recognized and cultivated, ch’i is intensified and the T’ai-Chi movements become more continuous, circular, tension-free, and imbued with potential power. 3Cheng Man-ch’ing, Cheng Tzu’s Thirteen Treatises on T’ai Chi Ch’uan, Translated by Benjamin Pang Jen Lo and Martin Inn, North Atlantic Books, Berkeley, CA, 1981, p. 39. 4Dr. George K. W. Ho, Going beyond the Term Relaxation, Tai Chi Magazine, Vol. 38, No. 1, Spring, 2014, pp. 6–9. 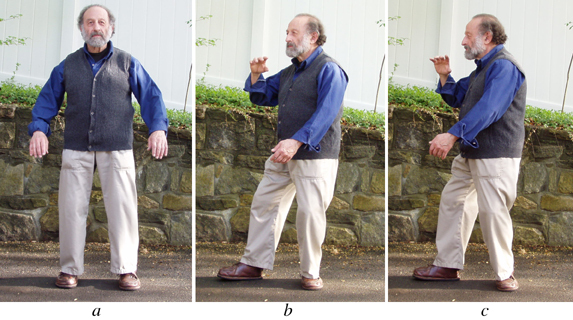 5Robert Chuckrow, Tai Chi Dynamics, YMAA Publication Center, Wolfeboro, NH, 2008, pp. 1–12. 6Concise English-Chinese Chinese-English Dictionary, Martin H. Manser, Oxford University Press, Hong Kong, 2nd Edition, pp. 248–249. 7Cheng Man-ch’ing, Cheng Tzu’s Thirteen Treatises on T’ai Chi Ch’uan, Translated by Benjamin Pang Jen Lo and Martin Inn, North Atlantic Books, Berkeley, CA, 1981, p. 39. 8The Essence of T’ai Chi Ch’uan, Edited by Benjamin Pang Jeng Lo, Martin Inn, Robert Amacker, and Susan Foe, North Atlantic Books, Berkeley, CA, 1985, p. 57. 9The Essence of T’ai Chi Ch’uan, p. 24. 10The Essence of T’ai Chi Ch’uan, p. 95. 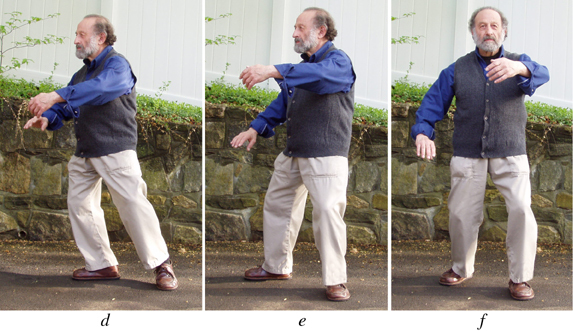 11Robert Chuckrow, Tai Chi Dynamics, YMAA Publication Center, Wolfeboro, NH, 2008, pp. 13–23. 12The Essence of T’ai Chi Ch’uan, p. 66. 13Cheng Man-ch’ing, Tai Chi Chuan: A simplified Method of Calisthenics for Health and Self Defense, North Atlantic Books, Berkeley, CA, 1985, pp. 16–17. 14T’ai-chi Touchstones: Yang Family Secret Transmissions, Complied and translated by Douglas Wile, Sweet Ch’i Press, Brooklyn, NY, 1983, pp. 12–13.